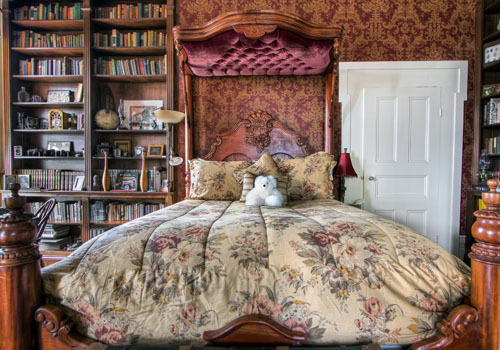 This spacious Guest Room features a grand Half-Tester Queen-size Mahogany-carved Bed with an oversized pillow-top mattress and designer luxury linens. A gas-log fireplace and accent lighting provides for romantic ambience. 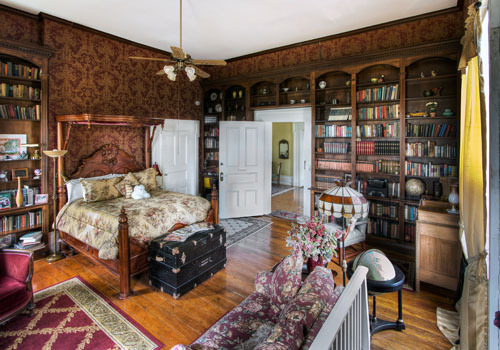 Mahogany floor-to-ceiling bookcases containing hundreds of books and antique collectibles as well as many Abraham Lincoln’s writings and biographies are found throughout this room. 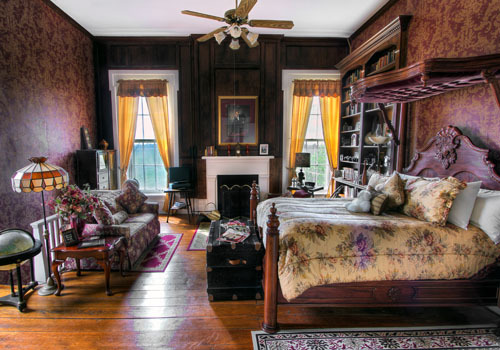 One wall is beautifully paneled mahogany adorned with a well-known pose of contemplation of President Lincoln, giving this room a sophisticated, elegant feel. 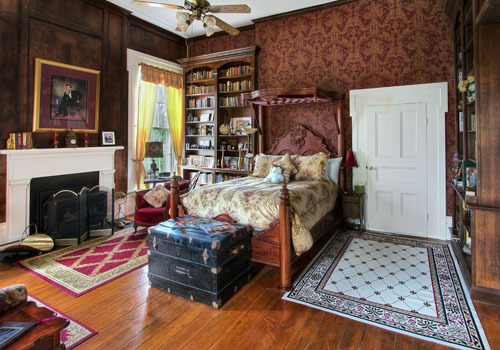 This room is a book-lover’s dream, ideally suited for those wanting a fireplace for enjoying a good book or simply a restful retreat. Three 9′ windows overlook the neighboring race horse farm and our all-white flowering, “Butterfly Moon Garden” which glows at night. The views from this rooms are gorgeous and provide the best views for a spectacular country sunsets.